We at Book Arts Collaborative call casebooks "the bookiest of books"! Simply put: it is every hard-backed book you've ever owned. This workshop meets from 10 a.m. until 4:00 p.m. with an hour break for lunch. 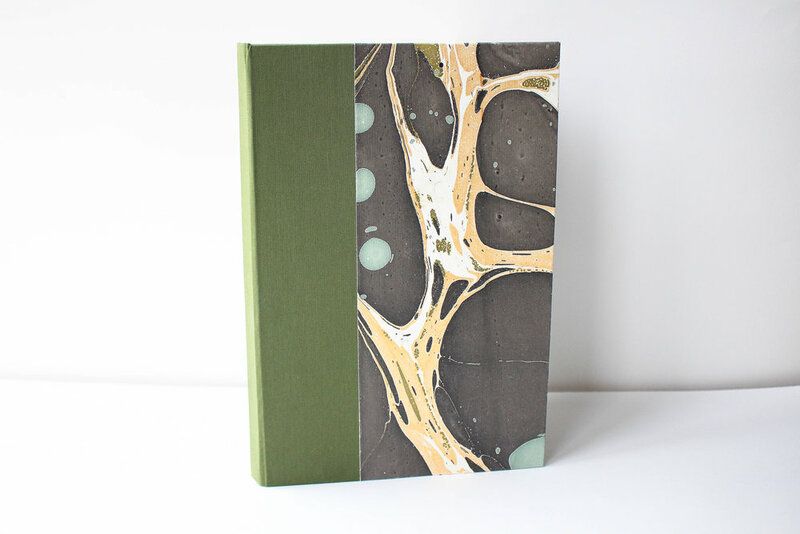 Learn to prepare gatherings of pages and stitch them together in the French link style, then build a case or cover, finish it in a linen spine and decorative paper, and put it all together into a blank book you can take away with you. No experience is necessary, and our instructors and students will guide you through the process with patience and good humor.